Nearly a dozen Google employees have resigned in protest of the search giant’s contract with the US Department of Defense that is focused on using artificial intelligence in warfare. The contract first came to the front around three months ago when it was revealed that the company has decided to support the US military in a controversial pilot program known as Project Maven. Under this contract, Google would help the military to speed up analysis of drone footage by automatically classifying images of objects and people. Gizmodo reported earlier today that in response to this contract that has attracted concerns and criticism from around the industry, several employees have decided to quit working for the Mountain View tech giant. They suggest that this contract is against the company’s stated ethical principles, raises ethical concerns over the use of AI in drone warfare, and would result in the erosion of user trust. While there may only be a handful of employees who are actually calling quits, over 4,000 employees have voiced their opposition to the search giant offering machine learning support for drone warfare to the Pentagon in an internal petition that asks Google for a policy against taking on future military work. However, Google doesn’t seem to be interested in anything but the military cash. Some of the employees who are leaving the company suggest that the executives have become less transparent with their staff and are less interested in listening to workers’ objections. Many believe that the Pentagon should use humans, not algorithms, for such a sensitive and lethal work, and that “Google shouldn’t be involved in military work at all,” Gizmodo reported. “Over the last couple of months, I’ve been less and less impressed with the response and the way people’s concerns are being treated and listened to,” one employee who resigned said. “At some point, I realized I could not in good faith recommend anyone join Google, knowing what I knew. I realized if I can’t recommend people join here, then why am I still here?” another added. Along with several other protests, today the International Committee for Robot Arms Control (with signatures of over 200 academics in artificial intelligence, computer science and ethics) released an open letter calling on Google to end its work on Project Maven and to support an international treaty prohibiting autonomous weapons systems. They suggest that Google’s work on the project could speed up the development of fully autonomous weapons. We are also deeply concerned about the possible integration of Google’s data on people’s everyday lives with military surveillance data, and its combined application to targeted killing. Google has moved into military work without subjecting itself to public debate or deliberation, either domestically or internationally. 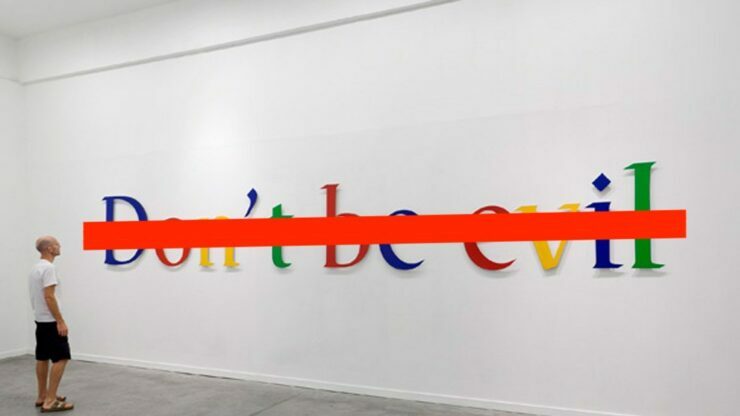 While Google regularly decides the future of technology without democratic public engagement, its entry into military technologies casts the problems of private control of information infrastructure into high relief. The company’s contract with the US military further raises concerns about Google’s global user base and its decision to align with a single country. If the company uses personal data gathered through its different services for military purposes, it would violate user trust.